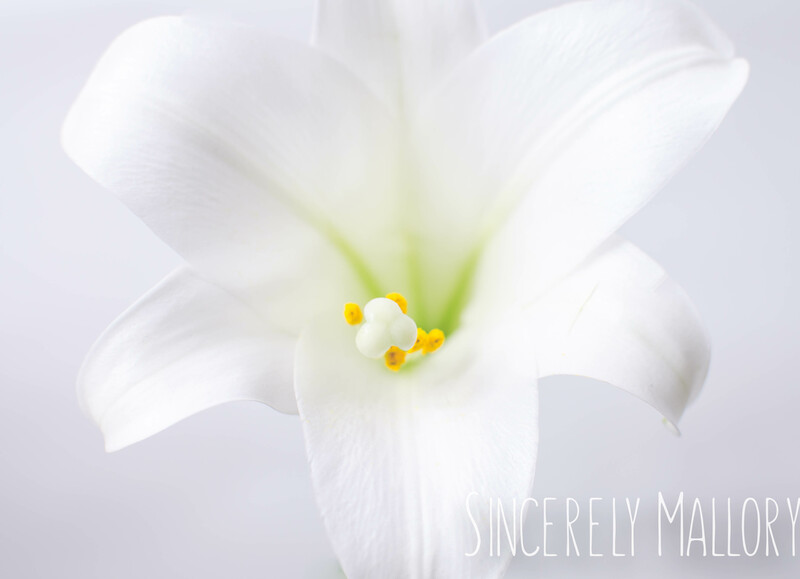 The challenge I did this past week for my Project 52 was to capture a high-key bloom, and I chose to do this one in the Easter season because Josh came home with a gorgeous Easter Lily that I knew would be the perfect subject for this challenge. High-key photography refers to a lighting style where shadows are kept to a minimum, if not completely non-existent. This typically requires lighting the subject against a white background. This type of photography is possible using natural light, reflectors, or flash, or a mixture. For these first two pictures, the window is to the left. 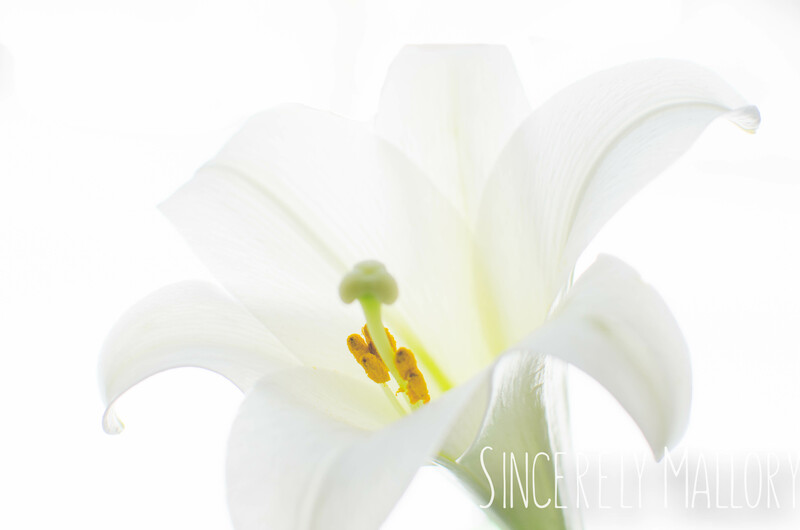 I have a white poster board taped to the wall behind the lily. 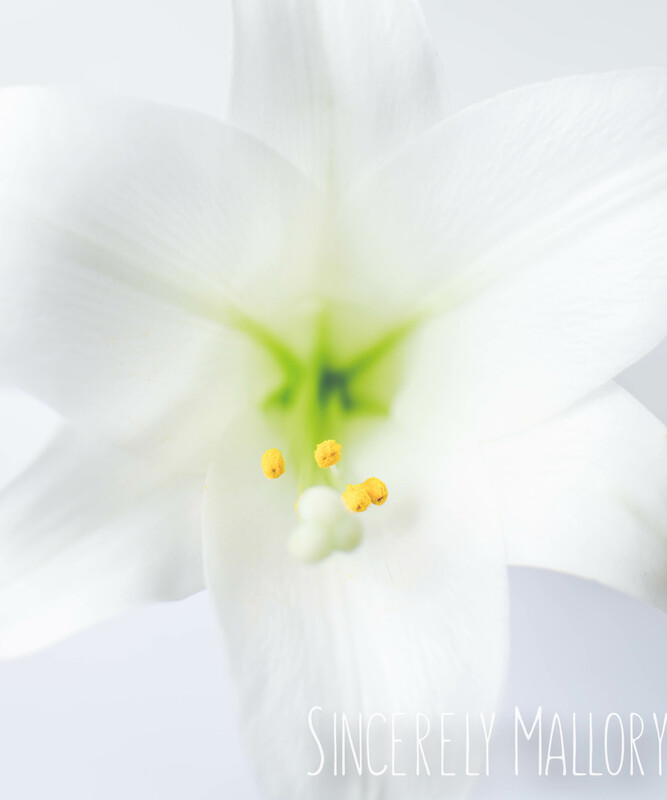 I actually meant to use my reflector to bounce the natural light onto the right side of the flower, but I forgot! I think it turned out pretty well despite. I liked the pictures taken in front of the poster board, but I didn’t like how the background looked more grey than white. I have to figure out how to fix that. More light maybe? I really wanted the “blown-out” look, so I decided to use the same technique I used for the daylight portraits I did in a previous challenge. The picture below is actually taken in front of the window in my dining room! 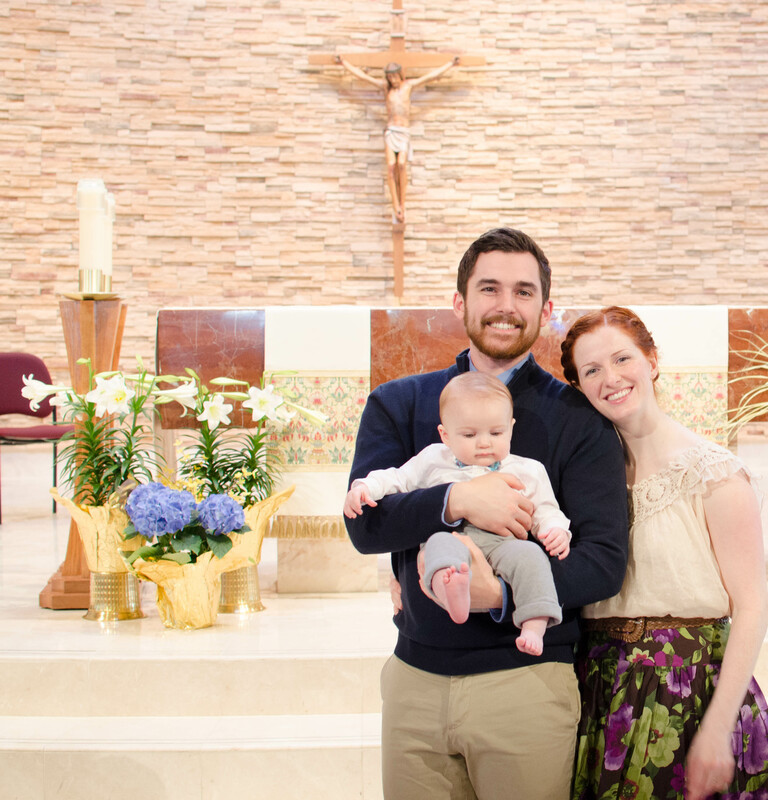 For all the pictures, I used an ISO of 100 in aperture priority mode at f/4. 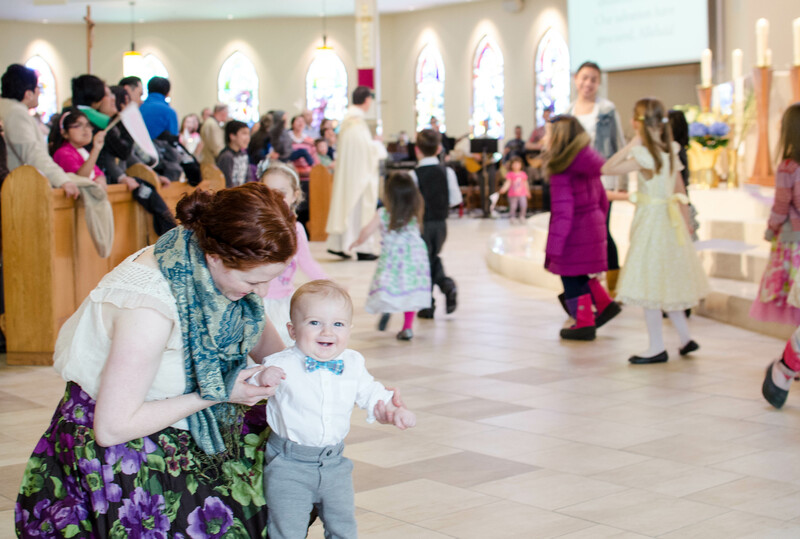 In the Easter theme, here are 2 pictures from the festivities on Sunday.